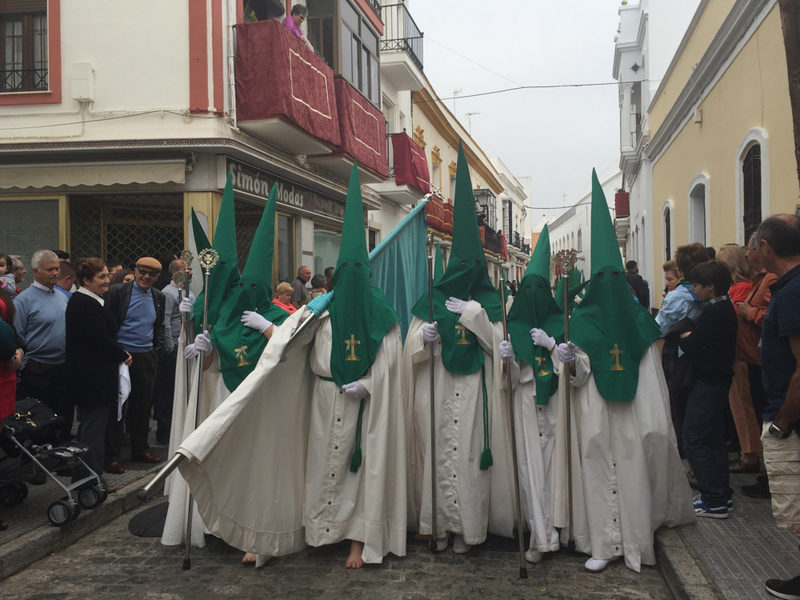 You can’t fail to come across these images of the brotherhood even if you don’t manage to visit Ayamonte at Easter. They can seem quite spooky by they fascinate me and are an organisation people here should be proud of. The brotherhood organises the Easter processions,known as Semana Santa, which are quite amazing. The history of the brotherhood and Samana Santa can be seen in their museum. You can also see all the robes and attire which is quite fascinating and well worth a visit. The weathers amazing at the moment here in Spain and Ayamonte is full of life with visitors here for Semana Santa. Sitting outside in a t shirt late at night is simply a pleasure in itself but how about this simple tapas to enjoy while you watch the world go by? Tasca Quiapena is a great spot for Jamon, cheese and wine! !